Simba, an imported, 2010 Hanoverian gelding by Scolari, is schooling all 4th Level movements with a knack for piaffe and passage. 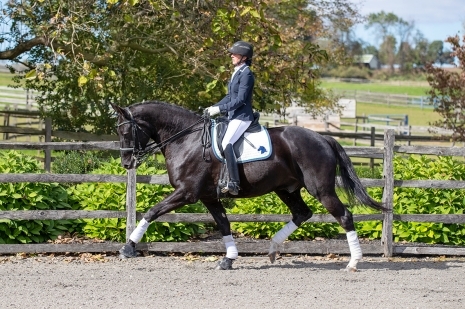 He has three floaty, elastic gaits, lovely lateral work, and is very safe for adult amateur riders. With his heart of gold and willing attitude, Simba is perfect for an AA, Jr or YR looking for a quality partner to join them down centerline.